NPR News Nuggets: Big League Baseball, Icelandic Celebrations & Spelling Snafus Here's a quick roundup of some of the mini-moments you may have missed on this week's Morning Edition. Iceland's soccer team won over England 2-1 in the Euro 2016 round of 16 match on June 27, 2016. If you can tell me how many times you've read your favorite book and the number is lower than 25, I don't know if I will believe you that it's your favorite. Now for one man in Montana, it's clear he really loves one book in particular. As Morning Edition host Rachel Martin said on Wednesday, a copy of Richard Matheson's Bid Time Return, was returned to the library in Great Falls, Mont. Here's the thing, though, the book had been gone since 1982, and it hadn't even been checked out. A man, who didn't identify himself, said the guilt of stolen book had gotten to be too much for him over the years. So, he had the book restored and gave it back along with a $200 donation and an apology note. As the Great Falls Tribune reports the man wrote that the book is "one of the, if not the greatest sci-fi/romance stories ever written; it's absolutely fascinating." He also said over the 35 years that he had the book, he read the sci-fi love story at least 25 times, and somewhere in between all that reading he actually met the author before his death in 2013. Now if you want to read this one, it's probably better to check it out from your library, and just make sure you return it before the due date. People have that saying "time will tell" and it appears to be doing just that in Iceland. The amount of time? Well, it's approximately nine months. As Morning Edition host David Greene said on Wednesday, a doctor in Iceland tweeted that last weekend he did a record number of epidurals, which make childbirth less painful. 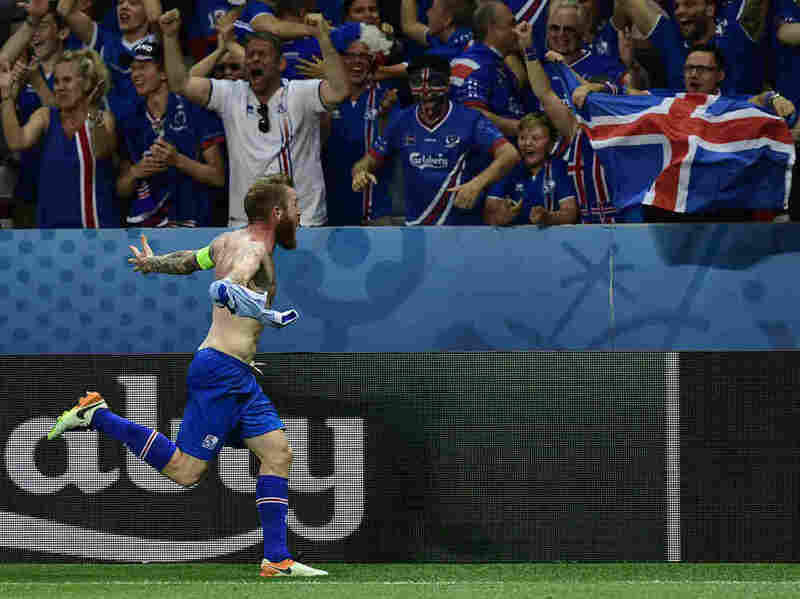 Nine months ago, Iceland's soccer team beat England, which was a pretty big deal. Those are the the facts, but could this mean Iceland soccer fans have a certain way of celebrating? We're not jumping to conclusions here. Spelling is hard already, but the hardest spelling test ever? You can ask Michigan elementary school teacher Joe Dombrowski about that one. As Morning Edition host David Greene said on Friday, Dombrowski gave his students a grueling spelling test and then made them grade it while he read out the correct answers, including: "S-P-E-E-K-U-Z-S-L-M-N, there are silent letters at the end of that one." The words and their complex spellings kept going until Dombrowski got to number 11. On that one Dombrowski says "April Fools' — because this is an April Fools' joke!" If you're wondering how the students take it — just wait until the end when you can hear one student's exasperated yell of "It's not even April!" Spring fever is very real right now for a lot of baseball fans, and opening day is quickly approaching. As excited as the fans are, Brock Stassi is likely even more ready for the season to begin. As Morning Edition host Rachel Martin said on Friday, Stassi, 27, has spent the last six years in the minor leagues, but this season he's going to be playing for the Philadelphia Phillies. In an interview with ESPN's Sport's Center, Stassi, who was a little choked up said the opportunity was "a dream come." Although he is excited about the opportunity admitted he still had work to go because now that he's in the Major League, he wants to stay there.